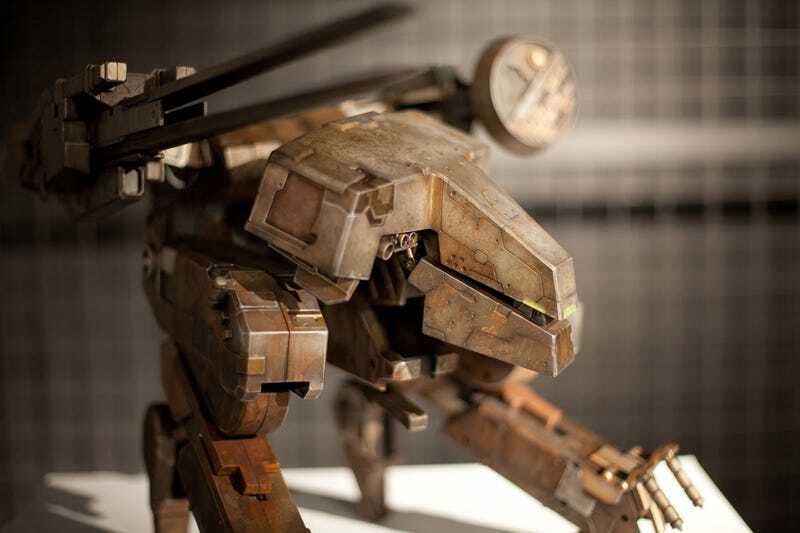 Ashley Wood's threeA toy company has for years been teasing the release of a figure based on Metal Gear Rex. Why the wait? Because, um, it's as big as a dog. Seriously, get a load of this thing. Earlier pictures made it look like it'd be, oh, 10 inches. 14 inches tops. This must be at least twice that. A GI Joe looks like it could sit inside with room to stretch its legs.